My nsme is JAFFAR RATHER. I come from a usual poor family in Kishtawar. We are 5 brothers and 2 sisters. Our dad was the only earning hand we had. He worked as a mason in the nearby areas. I am the eldest among my siblings. I moved from Kishtawar to Srinagar in 1993 when I was hardly 16 years old with 100 Rs. in my pocket for the trip along with an acquaintance who worked in Srinagar. I have done my schooling till 8th standard from Kishtawar only but that was not enough to earn me a decent job in the city. Hence, the person who got me here placed me in a house as a care-taker which ultimately translated to domestic help. How did you find it in Srinagar? It was a new world for me the moment I left Kishtawar only. When the bus finally dropped us at Lal Chowk, the hustle bustle around astonished as well as amazed me. How did you go into plumbing field? While working as household help, I requested them time and again to place me in the government sector somehow (sarkaer naukri). So, a family for whom I had been working for a couple of years by then enrolled me in ITI ( Industrial Training Institute), Srinagar for training in plumbing. I underwent that training for 2 years from 1996-1998 which helped me develop skills in the designated field. After the completion of the programme I was again on the look-out for a regular job. The family somehow had a relative who had started his own unit of modular kitchens (a budding industry that time). I was placed there and even sent to Delhi for a training of 40 days on how to install the kitchen. On the completion of the training provided at Delhi, I worked in Srinagar for them for around 2 months. However, as the concept was still in its initial stages in Kashmir, there wasn’t much work which led the owner to place me somewhere as domestic help again. But things had changed by then (precisely my vision) and I no longer wanted to work for someone. So I left everything and rented a room in Natipora area of the city. My primary aim was to earn enough to be able to pay the rent. So I started looking for work and my first job was to fit pipes in the washroom of some house. I fixed the rate at 500 Rs. for the work but ended up getting 200 Rs. instead. I didn’t even bother to ask for the remaining 300 Rs. as I thought my work might not have been up to the mark. I doubted my own work and capability due to lack of confidence. Now Mashallah after being in this field for 18 years now, I have a team of 15 workers including me and for most of our projects work cost is above 15000 Rs. We also have a group of carpenters, electricians and masons who if the customer requires/prefers are recommended by us as co-ordinated group work is close to perfection. As the trend of luxury bathrooms is gaining popularity in Kashmir also, the Jaquar company hired me as a Product Installer. I install shower enclosures and steam cabins of the company whenever required as per order and get a decent salary. It is a permanent salaried job which allows me to continue doing my own work as well. Just after starting work on my own I got married in the year 2000 ( I had been working for 2 years by then) to a girl from Kishtawar only. The marriage ceremony took place at my native town after which I brought my wife with me to Srinagar. I have been blessed with 3 daughters who are in school. The eldest one is in 11th standard and the other two are in 7th class and 3rd class respectively. At present I stay at a rented place in Shah Anwar Colony, Hyderpora (Srinagar). I have been helping my father in his expenses since I started working. He passed away 2 years ago. 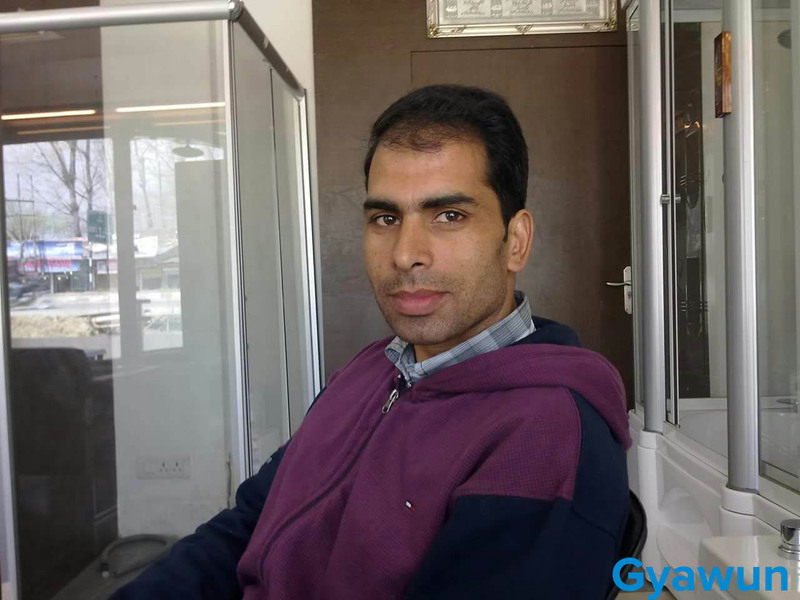 I have even taught plumbing to the people around me (brothers, cousins and relatives) which helped them to settle in the city (Srinagar) while earning their livelihood. You have even started started your YouTube channel how did that happen? I always had a knack for new things. And I wanted to utilize my time to the fullest. Even when I was working in households, I would draw sketches in my free time or make some decorative pieces from old waste items as well as school projects for the kids there. As computers were gaining popularity in almost every sphere, I started taking interest in them and got an old computer and over a period of time I learned this art without any formal training ( just some help from friends and acquaintances). Once I got familiarized with things, I purchased my own laptop which helped me a lot in my work as I used to show customers the drawings (in 3d view) of the work so that they would get an idea of/visualize the final look of the project. And just by fiddling with the apps and internet I came to know about Youtube channels which made me create my very own channel (JK plumbing). Although amateurish right now, it gives an insight to the work I have done and am capable of doing. People can also take design ideas from the videos uploaded on the channel. 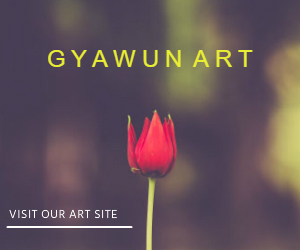 I just want to expand my work and offer first-class services to clients. As there are innovations every now and then, there is tremendous amount of growth and scope in this area and people prefer advancements. 70% of our work consists of repair and rectifying faults which are due to carelessness and inexperience of the workers being hired by people. Only 30% of our work consists of new projects. Lots of people suggest me to start an office but we are so busy ( always on the run) that we might not even find time to attend clients/queries there. We have a really hectic schedule and my phone is never not-ringing. Now, as digital marketing has taken over, I plan to create a website and hopefully an office too. The website would have all the details, estimates and display of our work for reference. We will also answer queries and people will be able to book appointments for repair work and design ideas. How are you treated back in Kishtawar? Back in Kishtawar, I am treated as an inspiration. Even in the year 2000 when I owned a cycle, I was looked upto as someone who owns an Audi in a foreign land. Now that I own a car, you do the math. What advice would you give to other UNEMPLOYED/UNEDUCATED youth? I can’t stress the importance of education enough. I had to struggle to reach the place where I am today. So those around who have the means and opportunities to pursue education should avail them and not compromise in this sphere. As I didn’t get a chance to complete even my schooling, I have a hard time understanding the language (English) at times when I try to familiarize myself with the upcoming technologies on the web. Besides this being a limitation, I am able to do anything and everything. And also have confidence in self. Be willing to work hard and give your best as this moment is all we have . Make the most of whatever comes your way.